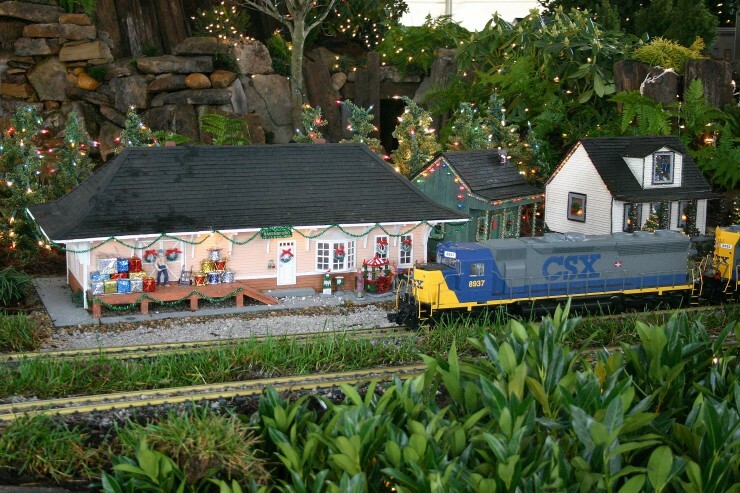 Come visit the miniature village with 10 garden-scale model trains and thousands of lights opens at the Children’s Museum of Oak Ridge on Friday, Dec. 8. Visitors may wander through a 2,500-square-foot G-scale railroad display inside the Museum gymnasium, open weekends and during Christmas week through Jan. 1! Designed by landscaper and train enthusiast Mark Fuhrman, the display includes rivers, waterfalls and more than 100 scale model buildings decorated for the holidays. Hours are from noon-8 p.m. Fridays and Saturdays and 1-6 p.m. Sundays. On Christmas Day and New Year’s Day, hours are from noon-6 p.m. Weekdays hours Tuesday through Thursday of Christmas week are from noon-8 p.m. Admission is $5 per person, and children under 3 are admitted free. Children’s Museum members receive a $1 discount. Combo tickets for a museum visit and train display viewing will be $12 for adults, $11 for seniors 62 and older, and $10 for children ages 3-17, during hours Museum exhibits are open. Proceeds from the event will benefit the Children’s Museum. Info: http://childrensmuseumofoakridge.org/ or (865) 482-1074.